The Invisible Man stands out as possessing one of the most complicated heroes, or perhaps anti-heroes, in literature. A thoroughly unlikeable character, the Invisible Man is defined by his arrogance, impulsiveness, rudeness, and, at times, violence. He is, however, a man of great genius; but, his genius is selfish—no one profits from his experiments, not even himself. 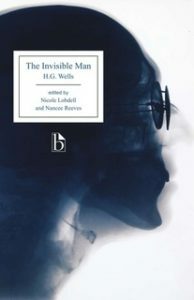 The Invisible Man is not only a commentary on imagination and the great spirit of invention that elevated the nineteenth century but also a warning against the eugenic and self-interested policies that threatened the twentieth. This edition includes a valuable collection of the nineteenth-century narratives of invisibility that inspired Wells’s novel, as well as excerpts of Wells’s nonfiction writings on education and class. Additional appendices situate the novel in its late-Victorian scientific and technological contexts, including material on radio waves and x-rays. Nicole Lobdell is a Visiting Assistant Professor of English at DePauw University. Nancee Reeves is a Lecturer in the Department of English at the University of Georgia.